This section provides current families with useful documents, forms, team registration link, college information, and more. Visit back often as this page will be updated on a consistent basis. MS spring sport options and eligibility requirements are noted below. Teams practice on Mondays and Wednesdays unless otherwise noted. Click Athletics Calendar to view practice and competition schedules, download a mobile app and subscribe to or update Notify Me preferences. Schedules are subject to change. Click on the image below to set up your family athletic team registration account AND to register your child for a team sport. 2019 US Spring Sport registrations are now past due! Season start dates are noted below. Please visit the Athletics Calendar for practice times and locations. Zeke Pike, former All American and 5 Star Quarterback, one decision changed his life forever. Online registration is required for new and returning athletes and managers. The Athletic Team Registration (ATR) portal link appears below. If you do not have a “Family Athletic Account” (FAA), you must create one using one of your students’ 5-digit Student IDs. Student IDs may be located on the PowerSchool parent portal – simply navigate to the “Grades & Attendance” page and look to the right of your child’s name. You may also call the US or Athletic Office for help retrieving your student’s ID number. Once you have created your FAA, add each child who plans to play a sport using their 5-digit Student ID. Finally, register each child for the chosen sport(s). If you need assistance with online registration, please contact Mrs. Panthofer or Mr. Atanasoff. WIAA Preparticipation Physical Evaluation Clearance Form is required for all incoming freshman, first time athletes and students new to The Prairie School. Returning students with expired WIAA forms are required to submit a current form. When registering online, please upload either a PDF or JPG file of your child’s WIAA form. The school Health Physical Form is not valid for US Sports. Exams completed on or after April 1, 2017 are valid for the 18/19 school year. NOTE: The WIAA Preparticipation Physical Evaluation Clearance form will be rejected and the student-athlete will not be cleared to practice or compete if the exam date is omitted, expired, post-date and/or if the form is not signed by a licensed medical professional or is not signed by a parent or guardian. WIAA Physical Exam Card (green/yellow) Parents upload the completed exam form during online team registration. The Prairie School is governed by the Wisconsin Interscholastic Athletic (WIAA) and abides by all rules and regulations set forth by the WIAA. 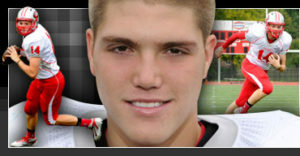 Click WIAA to visit the website. Each athlete must complete baseline concussion testing annually. Contact Kayla McClure to schedule your test prior to the start of your first season of the school year. Click on the image below for information about Prairie letter jackets. In-store inventory is limited. Note, orders take several weeks to arrive. Each year, we see more and more of our student-athletes seeking information on opportunities to participate in college-athletics. We have dedicated this section to providing you resources that will allow you access to valuable information about the types of programs and the steps involved in seeking opportunities to play at the collegiate level. This page will continue to evolve and we hope to add sample resumes as well as alumni collegiate athletes’ comments on their college athletic experience. As always, we encourage families to contact their Head Coach. 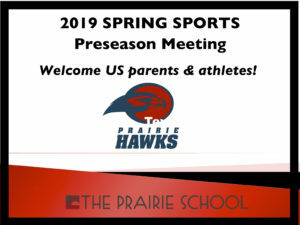 Working with the Prairie College Counseling Office and our coaches, we will assist you in this process. However, these opportunities cannot exist without the effort and energy of the family. The NCAA oversees 88 championships in 23 sports. There are more than 400,000 student-athletes competing in three divisions at over 1,000 colleges and universities within the NCAA. For more information go to www.ncaa.org. The association provides exclusive opportunities for over 60,000 young men and women to achieve academically while competing for the love of the game. NAIA member institutions award millions of dollars through athletic aid to eligible student-athletes and create an environment where competitive athletics, academic excellence and Champions of Character walk hand in hand. The purpose of the NJCAA is to promote and foster junior college athletics on intersectional and national levels so that results will be consistent with the total educational program of its member colleges. by Jack H. Renkens Jack Renkens’ book, Recruiting Realities, is a valuable resource and can be obtained using the information below. Recruiting realities was developed to provide student-athletes and their families with an educational resource about the collegiate athletic recruiting process.